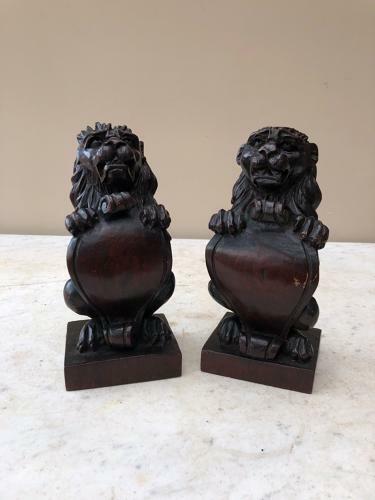 Lovely Hand Carved Victorian Lions with Shields. They have been on top of an item at some point and most likely newel post tops. Vary very slightly (as they would). Great colour/patina. Look closely & see one is missing some of their ears and part of their tail but a very decorative pair of lions and a great size for either end of a side table, mantlepiece etc.